GoPro Hero 7 Black Vs GoPro Hero 4 Black! 4k GoPro Family Battle! We’ve spent the last few days checking out the 3 year old GoPro Hero 4 black and to be frank I’ve been very impressed with how well it still performs in 2018. Audio is amazing, image quality is great, its seriously a fantastic little camera. 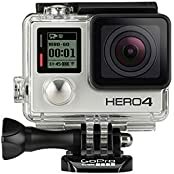 But the Hero 7 Black is probably my favorite action camera of all time, but the real question but is the extra $200 worth it? Lets find out! GoPro Hero 7 Black 2 weeks later! Gimbals are DEAD and the GoPro Hero 7 Black KILLED THEM! GoPro Hero 7 Black VS GoPro Hero 6 Black! MONSTER ACTION CAMERA BATTLE! The GoPro Hero 7 White is Garbage, And Here’s Why! Check out my full gear list at Kit! P.O. BOX! NO CURRENT P.O. BOX DO NOT SEND MAIL TO THE LAST ONE!!! DISCLAIMER: This video and description contains affiliate links, which means that if you click on one of the Amazon/B&H Photo product links, I’ll receive a small commission. This help support the channel and allows us to continue to make videos like this.